Bird collisions are one of the top three human-related causes of bird deaths and injuries. What can be done to solve the problem, or, at least, reduce the number of deaths? Bright lighting in urban centers can disrupt planetary night sky cues causing fatal collisions with buildings, and it is estimated that between 365 and 988 million birds are killed by collisions each year in the United States. 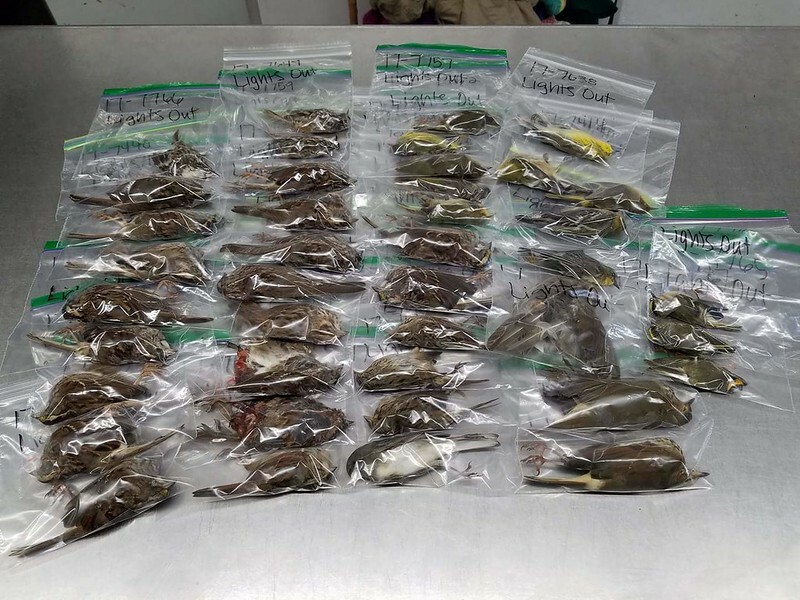 "Yesterday, October 5, 2017, was the greatest number of birds collected in one day. There was a total of 63 birds with 38 dead and 25 live." - Amy LeMonds, Director of Wildlife, Lake Erie Nature & Science Center, 28728 Wolf Rd, Bay Village, OH 44140. Join the Bird Friendly Coffee Club! "Hotspot Birding with eBird Occurrence Graphs"
"Second Saturday Winter Birding 2018 Delights"
"The Sights and Sounds of Migrating Warblers"
"Second Saturday Bird Walks Are For Everyone"